Last week our wonderful art teacher cleaned out her room and offered all of the “extra” stuff to everyone. 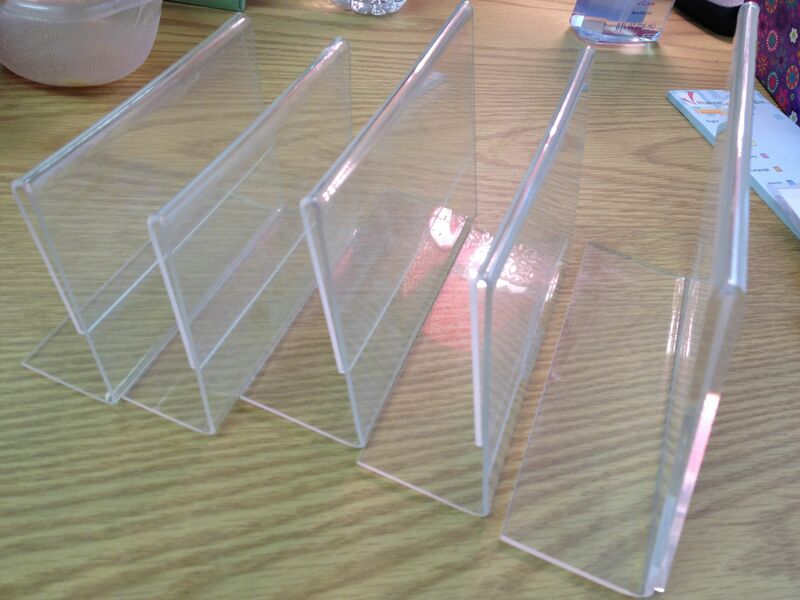 As soon as I saw these small, clear picture frames I snatched them up! I use the large ones for Math Station Instructions and was very excited about coming up with ideas for these small ones. Not even an hour later I found a great use for them! I was having math help in my room and wanted to assign seating, so I wrote names on index cards and put the small picture frames on the tables. Then, I had a much better idea. 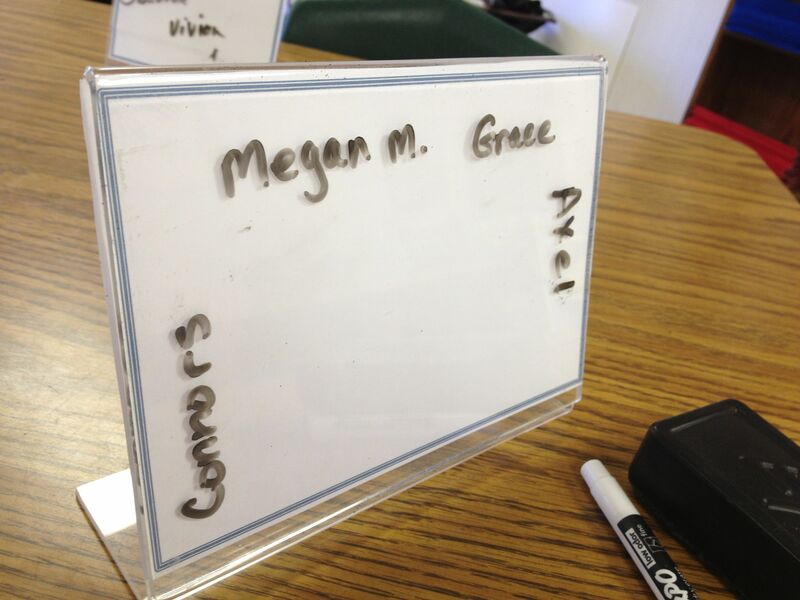 Since the picture frames were plastic, they would make a great dry erase surface! So, this weekend I quickly designed paper with borders to cut and put into the picture frames. 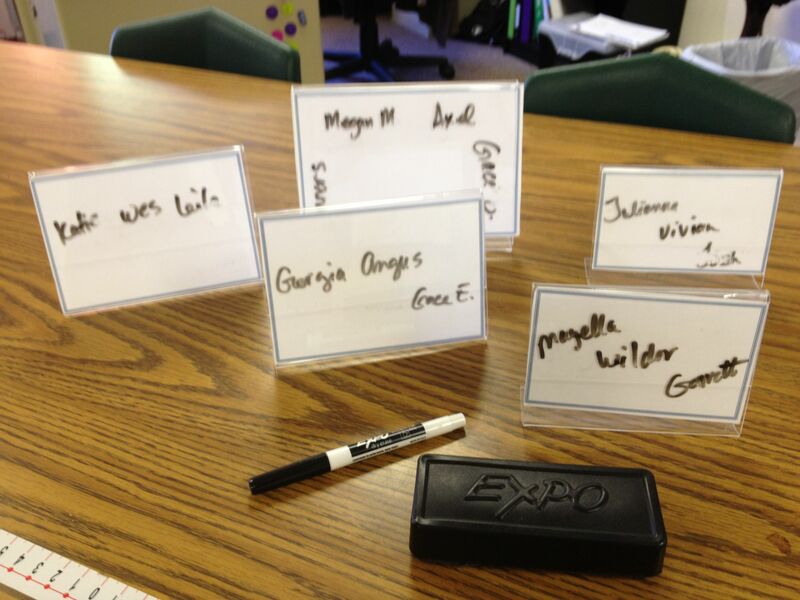 This was so the names would be more easily visible when I wrote on them. My backgrounds were pretty boring as I had a very busy soccer mom weekend, but I can see making the background really fun in the future! Or even changing it for the seasons. I have an electronic seating chart generator that I use, but students always get the seats mixed up. Plus, it takes time I don’t always have. This was much easier and I just wrote on the names quickly. I plan to use them for many more things! This entry was posted in Made 4 Math by I Speak Math. Bookmark the permalink. My students didn’t believe that they could write on them at first. One group actually took the paper out of the frame to write on. I caught them just in time. They were so cute. They said, “How did you know you could write on them?” I told them I was 99% sure, but tested a small area first. FYI, I had to buy a bunch of these things for my wife who is a media specialist…they are like 95 cents at Walmart vs. almost $4 at Office Max. Great idea, but don’t break the bank for them. If you don’t have an art teacher giving them away, go to Walmart!